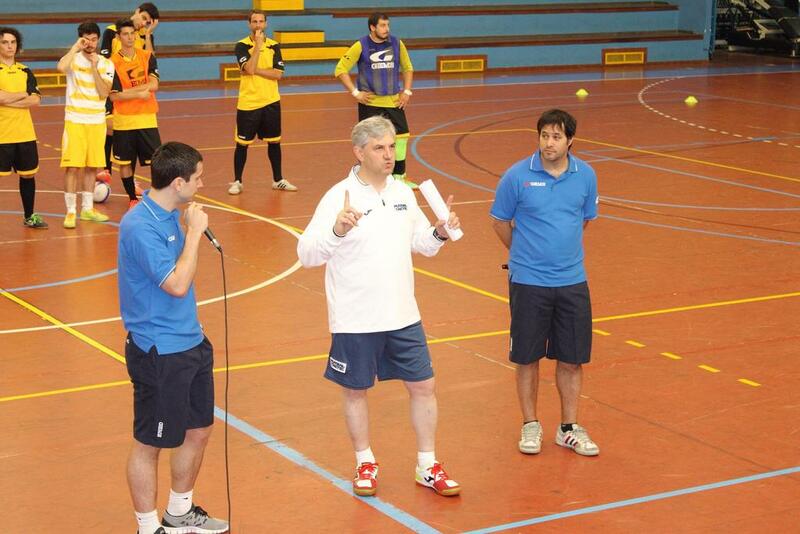 This weekend I have been in Milan, Italy to translate a clinic held for futsal coaches. Presenters included Venancio López, Head Coach of the Spanish National team and Andrés Sanz, who has been educating coaches in Spain for over 15 years. My job was to translate the presentations and practical sessions for those that required English. These included coaches from Belgium, Cyprus (including my ex-coach), Poland and Taiwan. It was a well-attended event with 58 coaches from 9 countries present. It was great to meet some new people as well as see old friends such as Poland´s recently appointed Head Coach, Andrea Bucciol. 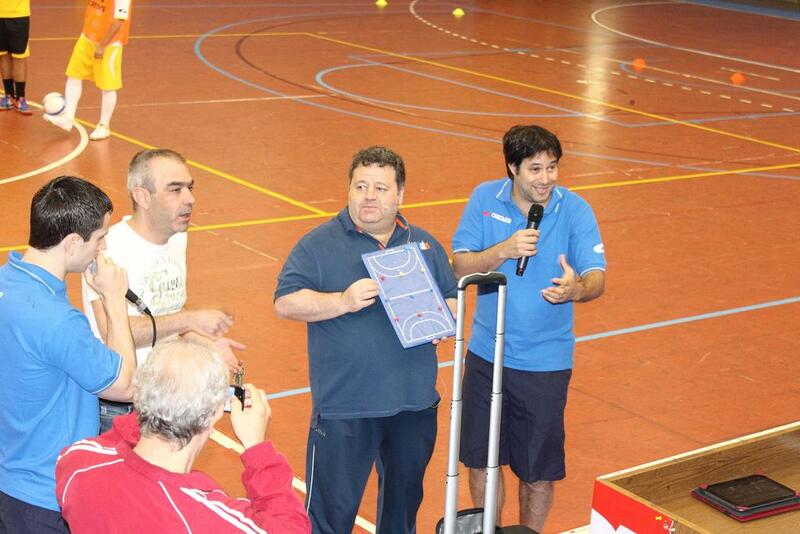 Venancio´s topic was the Spanish Attacking Model. It was very interesting to listen to him dissect their game, covering the 3-1 and 4-0 systems as well as transitions and set plays. He commented on the future and how the fact that some of their older players have retired and with the introduction of young fast players they want to focus more on quick transitions when they regain possession. This demonstrates the fact that there is no one ideal way of playing but that the system of play you should implement is dependent on the characteristics of the players at your disposal. For me, Spain’s way of playing is the best in the world. Despite losing the World Cup in the final I think that Spain are ahead of Brazil and I think the distance between the two nations will increase over the next few years. I believe this because in the past most of the top players from Brazil played in Spain. This created a situation where Brazil´s technical mastery, combined with Spain´s tactical understanding, led to the formation of incredible players such as Neto, Schumacher and Gabriel. With the economic situation in Spain leading to a reduction in salaries this is no longer the case. Brazil struggled in the final against Spain in Thailand and I think in Colombia 2016 Spain will go on to win the competition. Andrés Sanz topic was “Current trends in the teaching and training of individual technique and tactics”. He talked about the methodology of integrated training, which I discussed recently here, he utilises in his coaching. He detailed the different types of training that can be used to teach various concepts of the game. I especially enjoyed his practical sessions, some of which I will definitely use in my future coaching. 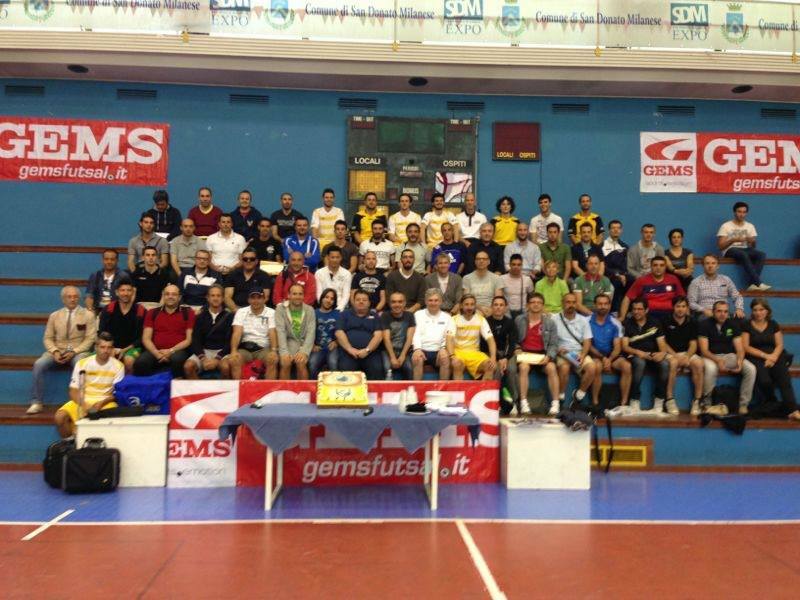 Unfortunately Riccardo Manno, Italy´s assistant coach, was unable to give his talk on “The components for the development of youth futsal players” due to work reasons. His replacement was Mico Martic, another former coach of mine, who provided a “Technical and tactical analysis of the 2012 World Cup” where he was a FIFA Technical Observer. He made lots of comparisons with the 2008 World Cup and it was interesting to hear about the trends and development of the players and teams. He identified physical preparation and tactical organisation as the main progression from the previous World Cup. He specifically spoke about the improvement of the goalkeepers and how the final rankings were very reflective of the ability of the nations’ goalkeepers. This highlights the importance of the goalkeeper in futsal which I think is 50-60% of the team. This is mainly because of their involvement during the development of play but also because they are the only player that remains on court the whole duration of the match. It was a pleasure to work at this event, not just because I was able to listen to these leading experts discuss their ideas during their presentations and sessions but also the downtime where we would chat and discuss the game. It was great to hear Andrés and Venancio give their insights and talk about experiences from their distinguished careers in futsal. This is the 2nd edition of the FutsalCoach Kick Off Futsal Clinic and I would recommend attending future editions to any coach who wishes to develop and learn. If you follow the blog I will keep you up to date about next year´s event. I have now arrived in Zagreb for a few days preparation before heading to Kuwait for the Mini-Club World Cup. I have been recruited to play for Croatian side Alumnus and I am really looking forward to attending what appears will be a spectacular event. I have been quite busy recently but hope to write about my recent trip to Brazil soon.